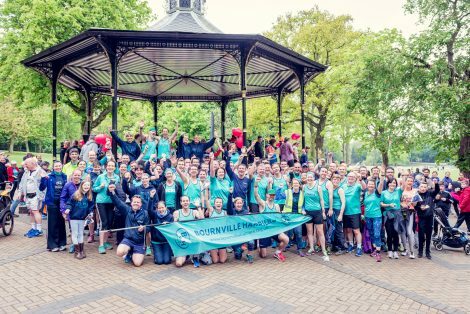 Established in 2000, Bournville Harriers (BvH) has grown to become a popular and competitive running club in the heart of the West Midlands. We are based at the Rowheath Pavilion in the beautiful ‘leafy’ suburb of Bournville, home of Cadbury’s chocolate. Our distinctive teal coloured club vest has been worn at events around the world and is proudly worn by our members regularly competing across the region. Our members all share the common aim – the desire to run, to improve our performance and enjoy the experience of running. We look to encourage the runner in all of us and to make membership of BvH as fulfilling an experience as possible, where team performance and achievement are allied with personal improvement, participation and enjoyment. Bournville Harriers is regarded as Birmingham’s friendly running club. We are also a club that is ambitious and we seek to challenge for honours. We welcome new adult members of all ages and abilities and cater for the novice to international standard. We have a performance team of Men and Women who are motivated to compete at the highest level. We provide the opportunity to train with runners of your own ability and we are always looking for more runners to join us and achieve greater success. The club’s main focus is road running but there are members who take part in cross country, multi-terrain, fell, ultra, adventure, triathlon and track events. We actively support local running events including Regional and National Cross Country and Road Relay competitions as well as local road races including the Great Birmingham 10k and Half Marathon. There are two official club training sessions on Monday and Thursday evenings from 7.20 pm at Rowheath Pavilion (with free parking, changing facilities and access to the Pavilion’s licensed bar). We provide planned running routes as well as structured, coached sessions around Bournville and the surrounding area. We also organise an annual event, the popular BvH Leafy 10km was well as our ‘members only’ events the Killer Mile and the Yacht Handicap. We also hold a ‘Teal Targets’ series throughout the year that is open to members of all abilities. In 2016 we twinned with Newbridge Athletics Club in Co. Kildare to foster friendships between our communities, provide opportunities for members to travel to each others races and to share ideas and good practice. Many of our members have years of experience and we have members who have competed at the highest level and are willing to share advice to improve your running experience. Our team of qualified coaches provide support and guidance to enable you to achieve your own personal goals. 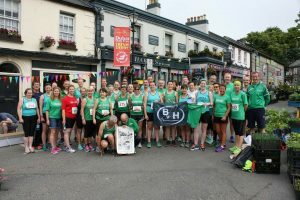 If you’re a regular competitor looking for a new club and a new challenge or just starting to run, we invite you to run with us and find out why BvH is the running club for you. Please go here to find details about joining Bournville Harriers.